I interview people for magazines and radio. My husband Hal, the executive editor of PursuitMag, interviews witnesses in civil and criminal cases. The skills are essentially the same: It’s our job to convince people to tell us things. Our aims and biases may be different — Hal’s goal is to clear his client (or at least to offer a strong defense); mine is to tell a compelling story that will make people want to turn the page or turn up the radio. But ultimately, our ends are the same: We want to construct as true and complete a story as possible, no matter how inconvenient the facts may be. We want to understand who did what, and why. Becoming a great interviewer isn’t difficult, especially if you’re naturally good at talking to people. But even if you’re by nature shy or taciturn, there are several techniques for connecting with folks. Faking it may work occasionally, but the real secret is to show an interest in others — and mean it. A couple of years ago, I interviewed Diana Henriques, the author of an acclaimed biography of Bernie Madoff. She surprised me at the end of the hour-long phone call by saying, “Thank you for being so prepared.” Lots of people, she said, interview her without reading her book beforehand. Imagine how embarrassing it would have been for me to interview Henriques, an extremely diligent researcher, without bothering to read her book first? You may not be writing a book on your subject, and you may not have a year to study his entire life story. But you can use the time you have to learn about his world — where he grew up, what kind of work he does, anything he may have published or posted. That research will not only help you compose questions and structure your conversation; it will feed your fascination with this person and his life. And genuine fascination is the best interviewing fuel there is. Of course, there’s also this simple fact: Sometimes, people lie, and more often, they misremember. If you have the facts on hand, you’re essentially fact-checking in real time. Some of your questions will be simple and fact-based, to get timelines and details nailed down. But if you want people to explore their feelings and motivations in a profound way, you’ll need to write profound questions. Great questions produce great answers. This applies doubly to people like Karr who are interviewed often: Ask something nobody’s thought to ask them before. Instead of answering from their pre-recorded mental script, they’ll say something surprising — and they may even surprise themselves. Listen carefully, and be ready to go off script. You’ve written the song in advance — in the form of a question list and detailed notes. But at some point, you’ll need to improvise. 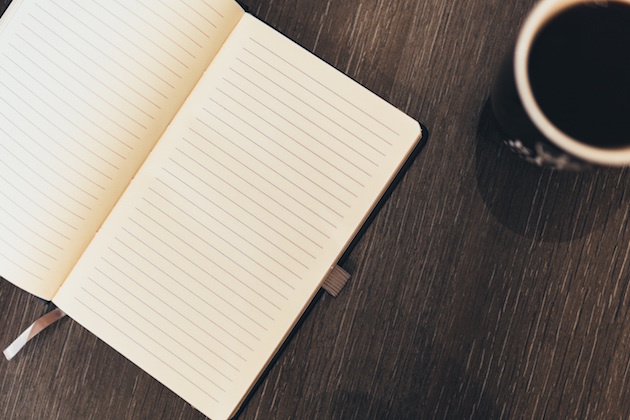 A great interview isn’t about reading a list of questions and jotting down the answers. It’s an exploration into the largely unknown. Who is this person? Why have they chosen this particular life? Listen carefully — which means you’ll have to focus on the answer instead of rehearsing your next question. This is harder than it sounds, because most of us worry about losing the conversational thread. My trick is to make a quick note on the page as we veer off script — one word that will remind me, once the tangent is fully explored, how to get back to where we started. Your off-script questions will build on an interviewee’s answers and encourage him to dig for a deeper truth: “What happened then? Why? How did you feel?” And when you hear an answer that points to another mystery, even if it seems tangential, pursue it. Sometimes, people don’t fully know their own motives. An excellent interviewer may even, at times, help a subject learn something about himself. If the interviewee pauses at some point and says, “Wow, I’d never really thought about it that way. Let me think about that,” then you can declare the interview a success. I find that people often say the most profound things as an aside, as if they’ve just decided at the last moment to tell me something. Maybe they don’t realize it’s important, or they’re not sure whether I’ve earned the right to know it. There’s a great moment in the movie “Spotlight” where an attorney tells a journalist that the Church’s cover-up of clergy sexual abuse is more systemic than anyone realizes. He’s been trying to tell the world this story for years, and no one listened. “You don’t know the half of it,” he shrugs in frustration. “What’s the half of it?” the reporter says. “Tell me the half of it, Mitch.” He waits. The attorney gives him a long look, seems to decide something, then reveals a piece of information that blows the investigation wide open: A key piece of evidence against the Church, it turns out, is available as public record. The reporter runs to the courthouse. He has his story. Let pauses stand. Especially if there’s an uncomfortable or emotion-filled pause — DO NOT interrupt it or try to fill it. Not even to comfort the person. Sit quietly and let him get through the moment. Whatever he says next may be something you won’t want to miss. Find your curiosity — and your empathy. Let’s face it: Some people are easier to like than others. When you sit down with someone, it doesn’t take long to discover whether there’s any real affinity there. Even if you wouldn’t enjoy talking with this person at a bar, you can connect with him in an interview. An interview is not a normal conversation. It’s not an equal give-and-take; it’s one-sided, because you are the one conducting the music. You don’t have to like the person to find something in common with him. You could be talking to a famous conman or a murderer, but there is always something human and relatable in that person, even if you despise what he’s done. Maybe he was once a little boy who loved baseball cards, just like you. Travel back to that time with him, then take him through his life story, to the point where your paths diverged. Try to understand why he made such different choices. Try to imagine what it must have been like for him. An interview, as distinguished from an interrogation, is a choreographed performance designed to make your subject feel as if you are just two people talking. “You can make more friends in two months by becoming interested in other people than you can in two years by trying to get other people interested in you,” Dale Carnegie famously wrote. That’s the secret: Compassion and curiosity create connection. Sure — to a degree, it’s a manipulation. You’re showing interest in someone to make him feel good, to convince him to share his story. But if your interviewee feels that you are genuinely trying to understand him, he may be more willing to speak openly with you. Sincerity works best. I’ve found that I’m capable of finding something fascinating and likable in just about anyone. And I genuinely enjoy hearing about their lives. Remember: This interview is not about you. When you slip into your interviewer persona, leave your ego at home. Showing off what you know does not make for a good interview. In fact, sometimes ignorance can be useful. “I don’t understand. Explain it to me like I’m in 4th grade,” is a great way to get an expert to describe something complex in simple language. And it makes people feel smart, which helps to get them talking freely — to explain it to you, the confused person who has asked for their help. Your interview persona is not you, exactly. It’s a more curious, less judgmental version of you. You may also decide to tone down your “you-ness” a bit and subtly mirror the interviewee’s body language and speaking style, to put him at ease. I also consider my wardrobe pretty carefully for interviews. If I’m going to a law office, I wear a suit jacket. If I interview a musician, I’ll probably wear jeans. These tactics not only reassure the interviewee that I’m not so different from them; they also seem to, in part, reassure me of the same. Asking questions is easy; listening is harder. But with practice, you can become a great interviewer, a skill that will serve you well in work and in life. The bottom line: It’s a privilege to hear people’s stories.